When was the last time you lunched on a cheap-o Bento box? Or an $8 midday sushi special? For me, such meals recall a time in the mid-aughts, when I was a broke college kid (or recent post-grad) just getting to know food from beyond New England. Usually alone, and living in Colorado Springs or Chicago, I'd bike to some hole-in-the-wall sushi joint and order the lunch special. For $8 to $12, I'd get five to seven pieces of nigiri and a California roll, or maybe three basic maki. Once in a while, I'd mix it up with tempura or dumplings. The servers invariably spoke minimal English. But they were nonintrusive and efficient; some at my regular haunts knew my standard order, and they'd just nod and bring it over. Between bites of unadorned fish and nibbles of sticky rice, I'd read a book or the newspaper. The food was nothing special. But it was fresh (even the seediest sushi spots know better than to serve past-prime fish), and I could sort of afford it. Those quiet solo sojourns felt grown-up, cosmopolitan, modern. Then one day (perhaps at a pinnacle of broke-ness), I stopped going. My mind mothballed the meals in some corner of my memory. Until yesterday, that is, when occasion landed me at Asian Gourmet in Barre. The pan-Asian menu meanders through pages of steamed meats and veggies, udon noodle bowls, pad Thai and Chinese American plates like General Tsao's chicken. Japanese offerings include tempura, gyoza and signature maki rolls stuffed with eel and cucumber and avocado or tuna-times-two and double tobiko. During lunch, few dishes break $10. And on the very last page I spotted a sushi special with circa-2004 prices. Sashimi or nigiri plus a roll and miso soup was $8 to $12; two- or three-roll combos cost the same. 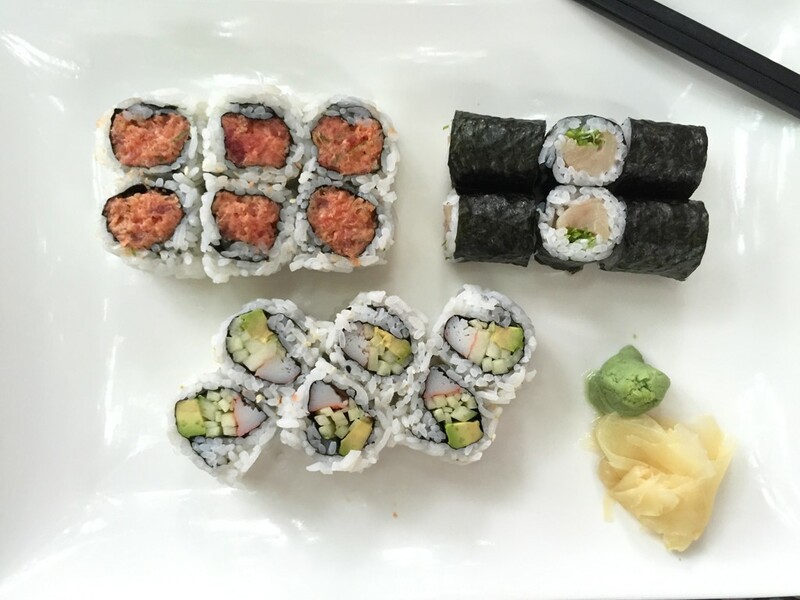 I went for the $12 three-roll special (my old-time go-to, which always seemed like the best value), with spicy tuna, yellowtail and California roll. Another time, I might choose a Bento box with teriyaki, tempura or negimaki (rolled meat with scallions). That includes salad, California roll, fruit and petite shrimp dumplings for $8 to $10. Or maybe, a Chinese entrée with soup and rice for $6 or $7. The fish was clean, cool and fresh. As at the pared-down spots of my past, I savored the virtue of keeping basics basic. This time, I ate with a girlfriend instead of a book. But as we caught up over tiny glasses of sake under a tree on the porch, steps above the tractor-trailers and dump trucks rolling down Route 302, the food tasted like reconnecting with an old, familiar friend.